Cecil Leatham Kyle was born at St Leonards, Sydney, in 1901, son of John F Kyle and his wife Kathleen, née Bloxham. In 1936 at North Sydney, he married Thyra Gabriella (b.1904), daughter of Etele and Alice De Gyulay. He died suddenly at his Northbridge home on 19 April 1984, survived by his widow. Cecil Kyle was educated at Sydney Grammar School. In 1933 he established his own business as a wholesaler, importer and distributor of automobile parts trading under the name Kyle Parts Company. The Company was located at 11 Regent Street, Sydney. He was active in the United Australia Party and, from its foundation, the Liberal Party, becoming president of the Neutral Bay Branch. He later became a member of the Civic Reform Association. He was a member of the National Club and a Masonic Lodge. Cecil Kyle was awarded an OBE in 1968. 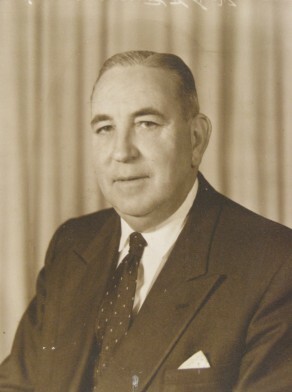 Cec Kyle served as an Alderman representing Tunks Ward on North Sydney Municipal Council from 1944 to 1956 and was Mayor of that Municipality for the 1949-50 term. While still a North Sydney Alderman, Cec Kyle was elected Alderman to Sydney City Council for City Ward, 5 December 1953 to 4 December 1959, and for Philip Ward, 5 December 1959 to 13 November 1967 when the Council was replaced by Commissioners. He was a member of the Finance Committee, 1954-59 and 1963-67. He sat on the City Planning and Improvements Committee, 1954-59 and 1962-67, the Works Committee and the Health and Recreations Committee from 1960 to 1961. In 1953 and 1956 he campaigned as a Liberal Party member before becoming a member of the Civic Reform Association.